Enter your email and password to access the driving tests. 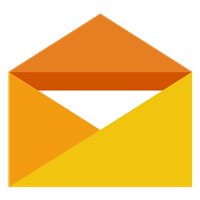 If you don’t have a PracticaTest account yet, sign up and get one. We can help you reset your password and security info. First, enter your email and follow the instructions below. 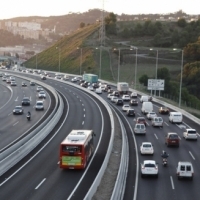 All our driving tests are fully updated and follow the same format as the official theoretical DGT exam (Dirección General de Tráfico). Remember that in order to pass the 30 question theoretical exam, you can only get 3 of them wrong at most. With 4 wrong answers, the exam would be failed. 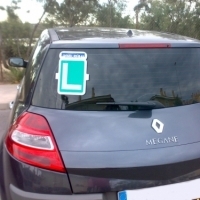 Driving licence exam tests are updated with current traffic laws. Dgt test in english. 1. Are you allowed to place goods on the roadway during loading and unloading? A) No, as a general rule. B) Not on the roadway, but on the shoulder and pedestrian areas you can. 2. On this stretch of road, are U-turns allowed? 3. Does alcohol affect reaction time? A) Yes, it decreases it. B) Yes, it increases it. 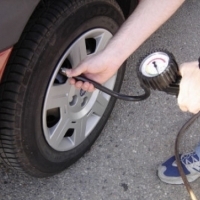 A) Tire pressure does not affect fuel consumption. B) The vehicle consumes more fuel. C) The vehicle consumes less fuel. 5. 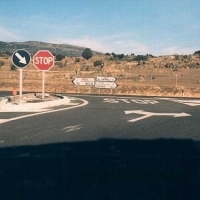 At this intersection, which car should go first? 6. Can a passenger car with a trailer travel in an HOV lane? B) Yes, when the combined MAM does not exceed 3,500 kg. 7. 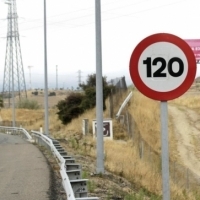 Why are speed limits set? A) To guarantee maximum flow, although reducing safety. B) To guarantee maximum safety, although reducing flow. C) To guarantee maximum safety and flow. 8. If a vehicle has the right turn signal on, but the driver signaled their intention to turn left with their arm, which signal prevails? C) The one performed with the arm. 9. 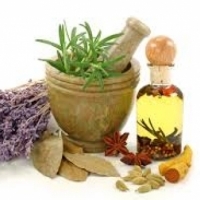 Can natural medicine have negative effects on driving? A) No, they are always harmless. C) Yes, in all cases. A) By traveling on interurban roads so it is more entertaining. B) By driving faster so fatigue does not appear. C) By stopping to take a break in an appropriate place and sleeping a little. A) Are slower and less accurate. B) Tend to be less automatic. C) Are faster but less accurate. 12. 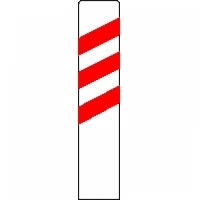 Which vehicles have the obligation of traveling through a road with this sign? 13. 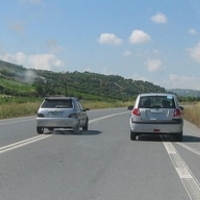 When is it prohibited to overtake a vehicle which is already passing another? B) When there isn’t enough visibility. 14. Must a car on a road which crosses a cycle lane give way to cyclists? B) Only if they approach from the right. C) No, cyclists do not have right of way over motor vehicles. 15. 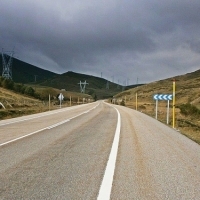 On this road with a shoulder more than 1.50 meters wide, what is the maximum speed a motorcycle may use to overtake? 16. 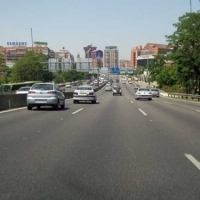 Why does the number of deaths in traffic accidents increase rapidly starting from age 15-16? A) Because in cities the number of pedestrian collisions increases starting from this age. 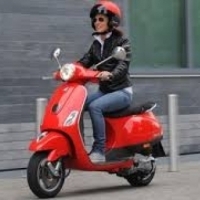 B) Because this age coincides with the first use of mopeds. C) Because it increases the number of accidents involving cyclists. 17. At what height should the center part of the headrest be? 18. Must you signal a load protruding from the rear part of a passenger car? A) Yes, but only at night or in bad weather. B) No, it is not necessary in passenger cars. C) Yes, with a panel placed at the end of the load. A) Prohibits parking on the side of the road on which the sign is located. B) Prohibits stopping and parking. C) Prohibits parking on even days. 20. If there is gravel on the road, what should be done to avoid breaking the windshield? A) Increase speed to lessen the effects of impact. 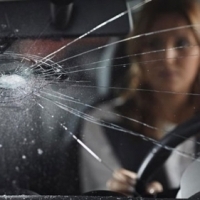 B) Nothing, because if the windscreen is clean, the risk of breakage is reduced. 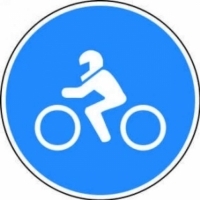 C) Increase distance from the vehicles in front. 21. What is the best remedy to fight drowsiness? A) To take a stimulant. C) To ventilate the car well. 22. 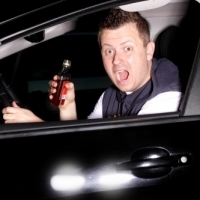 What is the maximum alcohol level allowed for a novice driver? A) 0.3 milligrams per liter of exhaled air. B) 0.15 milligrams per liter of exhaled air. C) 0.25 milligrams per liter of exhaled air. 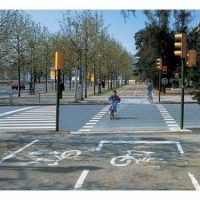 A) An intersection without right of way. B) An intersection with a streetcar line. 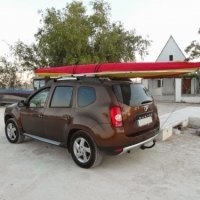 A) The speed adapts to the conditions of the driver, vehicle and environment. C) Maximum speed limits are respected. 25. 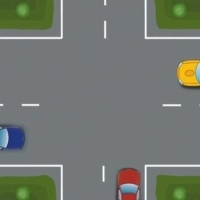 In a narrow unmarked road in which two cars cannot pass at the same time, which one has right of way? A) The one that needs to reverse more meters to get out of the narrowing. B) The first one to enter the narrowing. C) The one with more difficulty for performing the maneuver. 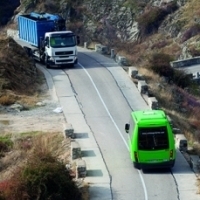 A) Traveling on high mountain roads. 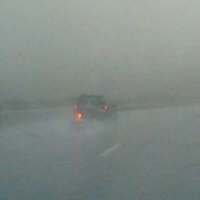 B) Meteorological conditions are especially unfavorable. C) Traveling at an abnormally low speed. 27. 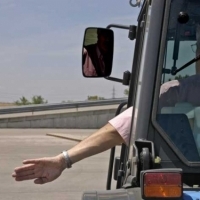 As a general rule, on what roads is it prohibited to travel in reverse? A) Only on motorways and dual carriageways. B) Only on urban roads. 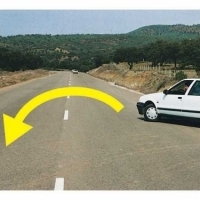 C) On every road, except as needed for certain maneuvers. A) A major public health problem in the whole world. B) Not a public health problem, but educational only. C) A secondary public health problem. 29. 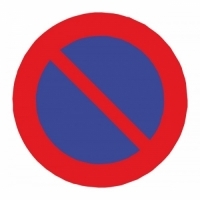 What does the round blue sign indicate? A) It forces you to turn right. 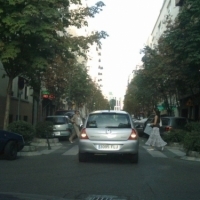 B) It forces you to go on the right side of the traffic island. C) It suggests you look for the STOP sign. 30. On this motorway within town limits, what maximum speed can you travel if there is no signage? Copyright © 2019 Practicatest.com. All rights reserved.